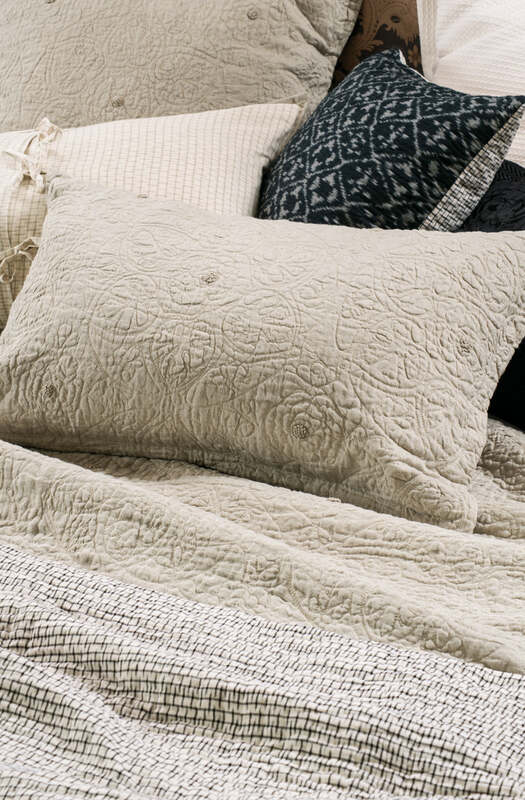 An exquisite 100% cotton hand-led machine stitched quilted eurosham in an intricate circular allover design, finished with delicate hand-embroidered French knots. Available with matching duvet cover and pillowshams. Please send me a sample of the following swatch for amarento natural linen eurosham.